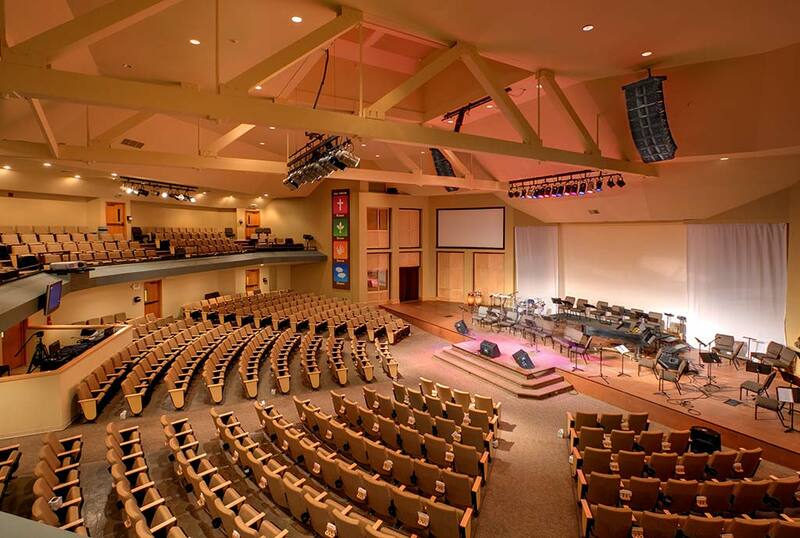 Morgan Sound was selected for the task of designing and installing a new audio system in the church’s Main Sanctuary during the course of a multi-year remodeling project. Working with the architects we determined the optimum placement of the arrays and then set about making it happen. The church wanted a modern system capable of handling all the worship needs from soft chorale music to full electric instrument productions. 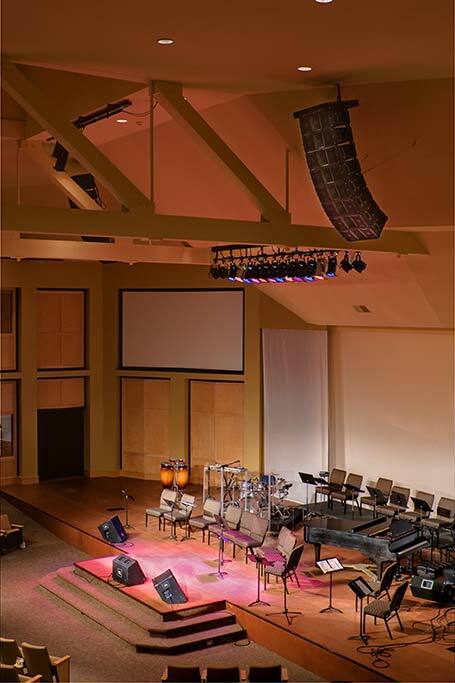 This particular installation uses a Yamaha Digital console, BSS processing, Crown amplification and JBL speakers. The system power is sequenced through the use of a Lyntec power panel system. In order to continue services at the church during construction, we installed a three box center cluster in the Gymnasium, which was transformed into a temporary Sanctuary for use as a worship space until the rebuild in the main body of the church was completed.